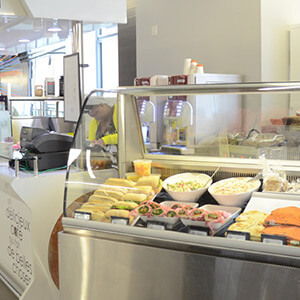 Bishop’s has six different food service locations across campus to fit all your needs. All of these locations are open to the public. Tim’s is located in the Student Union Building (SUB), in the Loft. Sandwiches, soups, donuts, coffee, tea, and much more. The Tim’s breakfast sandwiches with a hash-brown. 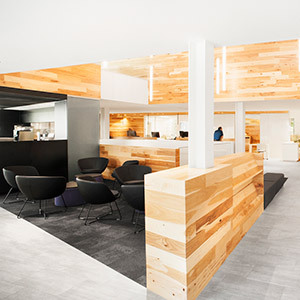 The Smoothie Bar is located in the lounge area of the Sports Centre. hours may vary on weekends depending on occupancy at the Plex. Smoothies, sandwiches, salads, and other healthy options. Any of the smoothies and the roast beef on naan. 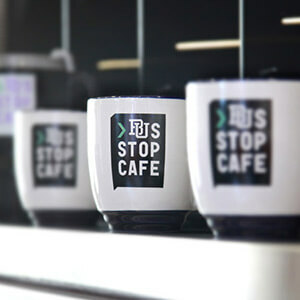 The Bus Stop Café is located between Johnson and Hamilton Buildings. Coffee, muffins, pastries, chili, sushi, and other tasty meals & snacks. Crispy Crunch coffee, paired with fresh banana bread. 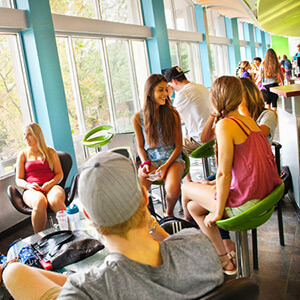 The Gaiter Grill is located in the SUB, beside the Gait. 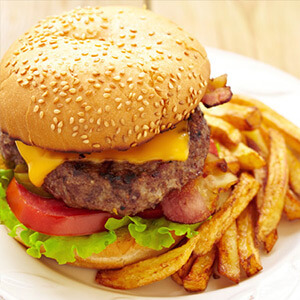 Hot food such as burgers, pizza, fries etc. The poutine is to die for, and is made with real cheese curds. Also try the new slider platter, or the healthy salad bar. Dewhurst Dining Hall is located in the center of the Residence complex. 7:30 AM – 11:30 PM, seven days a week. Dewhurst serves a wide variety of food to fit any dietary restriction or craving. The crepes. Need we say more? Gourmet bagels & specialty sandwiches, soups, pastries, and a wide variety of specialized coffees and teas. Something we Recommend: Their grilled duck sandwich.